Like so many other people, this morning, I woke up to news that someone had won a hotly contested political contest, while someone else had lost. Actually — full disclosure — I couldn’t get to sleep last night, until I checked the news and found out what the election results were. Some people are ecstatic about the results, while others are convinced it’s a sign of the Beginning Of The End. Some are chortling about their victory and pointing out how the losers are scrambling to regroup. Others are voicing various degrees of despair on Facebook. So it goes. It’s never actually been any different than that for me, in the course of my 50-some years on this earth. I’ve been hearing dire warnings about our inevitable plunge into chaos, thanks to certain sorts of political outcomes. The warnings come from both sides, and they’re so similar, it’s sometimes hard to tell the difference. It’s not the ideology and the platforms that seem different to me, rather the dire tone each side adopts to compel their constituency (both current and hoped-for additions), to join their side. Join the fight. Join the battle. Everything is on the line. While it is encouraging to see some election results which lean in my preferred direction, the whole process sort of depresses me. Even if “my side” does win, as a whole community we still lose something. Every time we splinter into factions and go at each other over ideology or agenda, we pay a price. Some days, it feels like the only one fretting over the cost, is me. But I know I’m not the only one. There are plenty of people out there who are distressed by the ever-deepening chasms between various segments of our society. Rich vs. poor. Haves vs. have-nots. Whites vs. … er… everybody else. Cities vs. rural areas. Men vs. women. Powerful vs. vulnerable. At every single turn, it seems like we’re splintered along identity lines. And where identity isn’t clearly marked, people seek to create new categories that set them apart. And yet… Is the real problem separation? I’m not so sure. Indeed, I think the real issue is that we don’t really know how to work effectively with separation. We tend to see it as a barrier, and little else. Of course, separation divides us. That’s the point. That’s why we turn to it — specifically because it divides us, it separates us out. And there are a bunch of advantages to that, which I discuss in Beloved Distance. A sense of belonging. A sense of safety. Knowing whom to trust. Knowing whom to avoid. Separation is one of our most valuable tools, and yet it seems to be wreaking havoc with our world. And yet, I have to ask — Isn’t there more to the story than just division? Isn’t there more to our experience than schism? 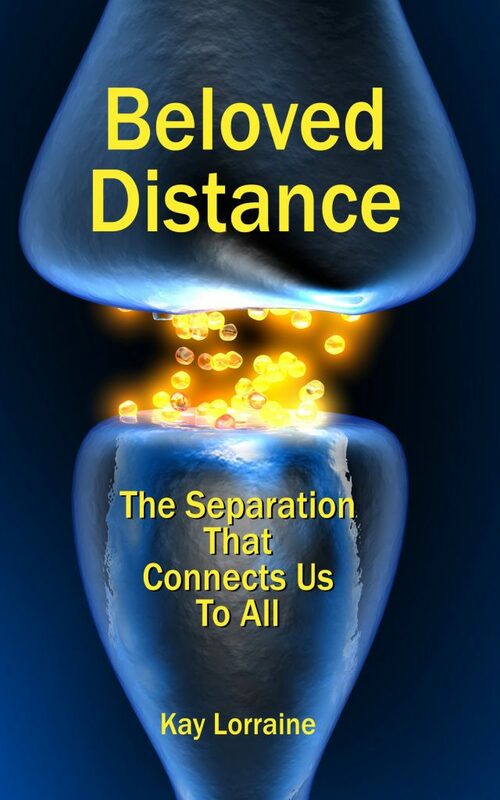 Might our separation actually offer us something we need, both in terms of division and connection? Are we missing something? I think we’re missing a lot. And because of that, we’re losing out on clues about how we can move forward. By having this one-sided view of things, and not understanding — really understanding — what’s at work in our world, as well as deep within us, we’re passing up an amazing opportunity to step forward and head down a path that may not be all that clear and well-marked, but is still a path forward. We don’t even have to know exactly what’s to come, or exactly how we’re going to get there. We just need to know that the path exists, and that we have the in-born capacity to really make the most of that path. You can see current events as a scourge or a gift. I choose to see it as both. And I’m determined to find out how we can make the most of the whole range of these experiences we’re having. I have some ideas about how we can do that.